NYON, Switzerland (AP) AC Milan’s hunt for the only European title it lacks will continue against Ludogorets Razgrad in the last 32 of the Europa League. 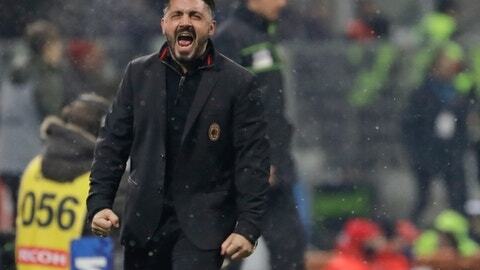 With Milan currently seventh in Serie A, the Champions League place awarded to the Europa League winner could be the best chance for the seven-time European champion to return to the elite competition. Atletico Madrid, the 2010 and 2012 Europa League winner, was drawn to face Copenhagen after placing third in its Champions League group. Napoli will play Leipzig in a pairing of two more teams which dropped down from the Champions League. Also, it was: Celtic vs. Zenit St. Petersburg; Ostersund vs. Arsenal; and Astana vs. Sporting Lisbon. The first legs will be played on Feb. 15, with the return games on Feb. 22.